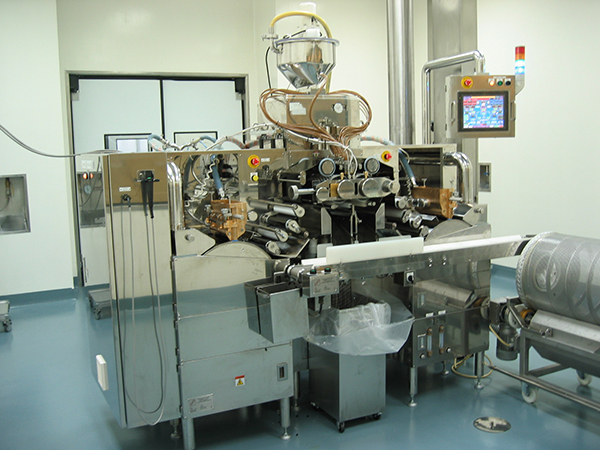 Soft capsule encapsulation machine can be said to be the main machine for KAMATA MACHINE CO.,LTD. 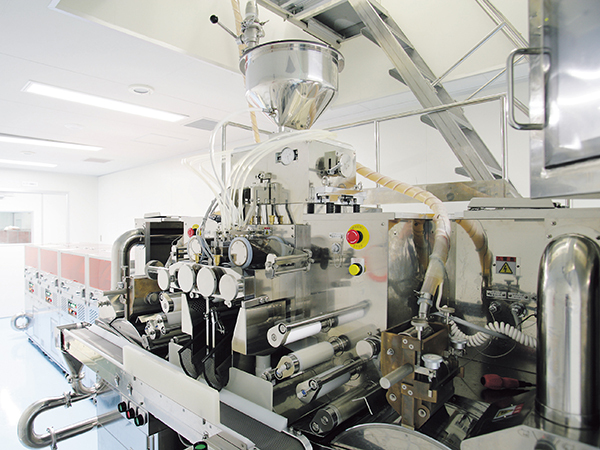 It has been highly remarked for its quality of the capsule and the high productivity. 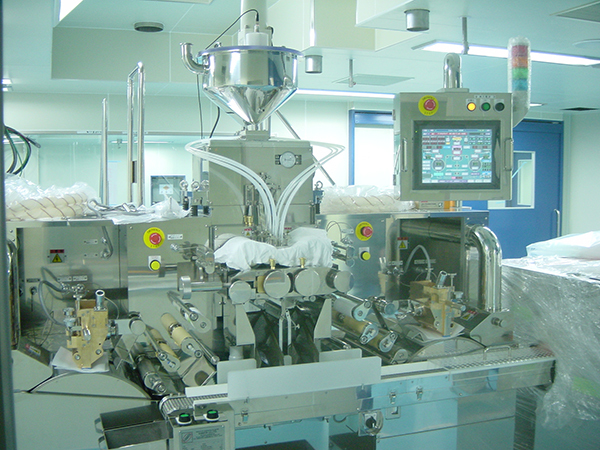 The production of soft capsules is sustained by a very elaborate technology which uses the characteristics of gelatin; the material which the capsule solution is made from. Handling natural materials and maintaining its quality requires a lot of effort. 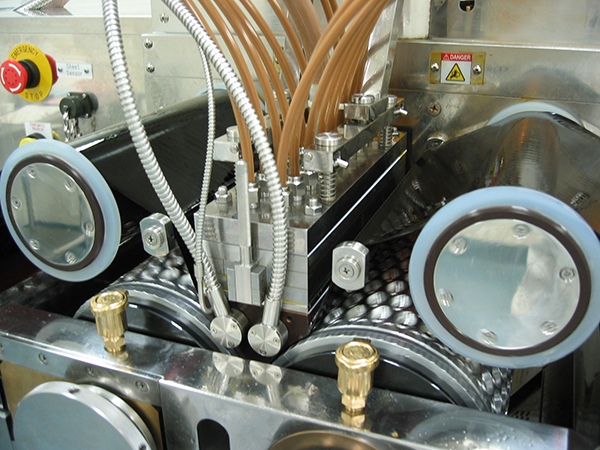 Our know-how accumulated over the years and the Double Injection Segment, which is patented in countries around the world, offers our customers a great advantage. A touch screen resembling the shape of the machine controls them collectively. Setting data such as the speed and the temperature can be registered as a product recipe. Also, the operation data can be checked afterwards, helping in quality control. WH-1At the same time as being a model suitable for producing small quantity with a large variety, it has a production capacity close to a larger machine. B-1A model most suitable for a large quantity of lot production, but which can switchover to producing a different product relatively at ease. WB-1It is a model suitable for a large quantity of lot production with double speed segment taken mainly into consideration. 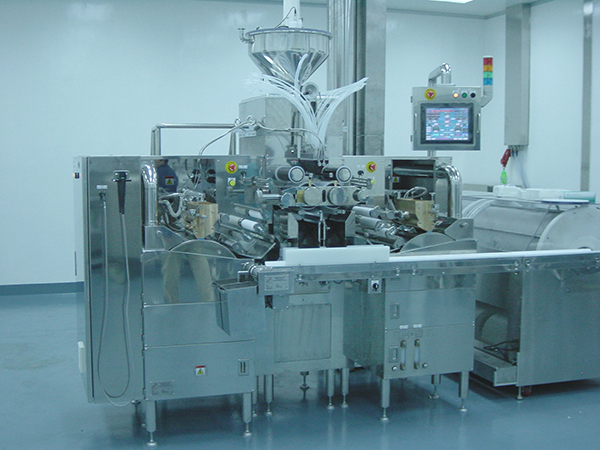 TB-1It is the highest-rank model with improved gelatin sheet supply, suitable for even larger quantity of lot production.